Destiny’s two big multiplayer events, Trials of Osiris and the Iron Banner, are coming back in a little more than a week. The first year-two Iron Banner will begin on October 13th, with Trials of Osiris kicking off later that week on the 16th. In this week’s update to the company blog, Bungie’s PvP designers have laid out how both events will change for Destiny’s second year. First up is Iron Banner, the week-long competition that turns up every month or so and allows players to fight against each other with the Crucible’s usual number-filing removed. As for the 230 light minimum, I have no clue how balancing will work with the new light system. Bungie says they’re “adjusting the damage curves to work with the new measurement systems.” We’ll see. 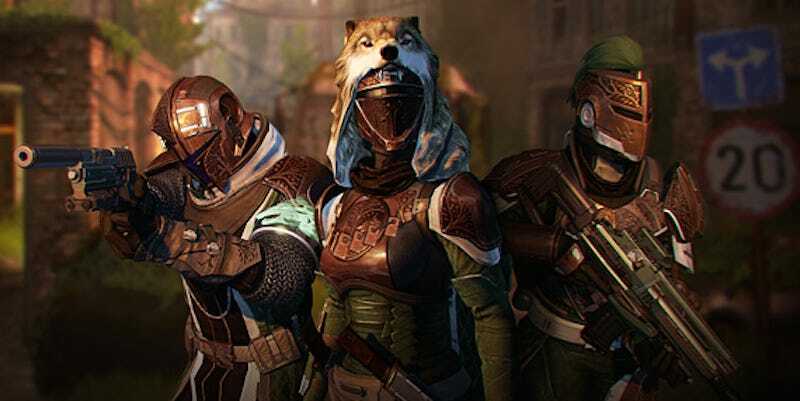 Iron Banner will also be the first major test of Destiny’s re-tuned matchmaking system. As fun as it can be, Iron Banner has historically been a bit of a lag-ridden shitshow; given how odd year-two PvP matchmaking has seemed and how prevalent annoying red-bar lag has continued to be, I’m not optimistic that’ll change. I’d love to be pleasantly surprised, though. Trials Passages now have a Details page containing your active buffs. You won’t be able to add buffs once you’ve started your Trial, so make sure you buy them first! We will attempt to match up teams with similar win counts. If you have 1 win, we will try to match you with another team with only 1 win. If you have 8 wins… yup. That change to the way you get Trials gear is a big one—I presume that means that you won’t be gunning for that six-win package, or the seven-win weapon. Taken King director Luke Smith already alluded to the matchmaking change when Jason and I interviewed him last week, and it seems like a good one. Elite teams will mostly be throwing down against one another, so ordinary mortals should have a better chance of being paired against other mortals. As for the 290 light recommendation... same thing as Iron Banner. We’ll find out how it works soon enough. I’m looking forward to both events, and have gotten my Titan into a pretty good place for PvP. My Red Death and my flame-hammers are ready. See y’all in a little more than a week.